The following information details the Social Media Disclosure for our http://www.morethanroofing.com website. We live in an interesting time period where privacy legal rights are championed together with an unparalleled intentional willingness of people to share their most intimate and superfluous lifestyle details with the entire world, as well as in places such as our http://www.morethanroofing.com web-site. Although evidently harmless on the surface, the risks of unrestrained public disclosure of sensitive information is starting to surface. Important social media players are actually being sued for not authorized or abusive use/misuse of personal information. Failing to safeguard and alert is likely going to be a focal factor in litigation. Lawsuits are recorded looking for damages for assertions represented to be responsible for someones death or suicide. Bloggers presuming to use under an unfettered freedom of speech or higher latitude offered to the membership of the news media are losing civil cases for defamation, slander, libel, and so forth. As social media rapidly advances to permit more technologically advanced and easy dissemination, the concurrent after effects of exposure devoid of boundaries is mounting. Consequently, a serious approach to the advantages of social mass media, while sidestepping the perils of imprudent disclosure, may aid an enjoyable online experience, without negative consequences of excess, in settings such as our own http://www.morethanroofing.com website. 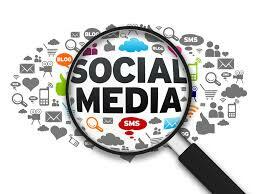 You should presume that social media is used on our http://www.morethanroofing.com web-site. A simple click of a mouse button to support a someone, product, or service provider is building a cumulative profile that concerns you, that you should generally presume can be found out by others. The desire to promote a web-site with somebody, whether by the immediate press of a mouse click or else by e-Mail forwarding facilitated on a web-site, you ought to presume that this may not stop with the intended target, and that can generate details about you that may be seen by a veritable limitless number of people. Such a domino effect could be initiated right here on our http://www.morethanroofing.com web-site. Something as simple as a blog comment enables the chance for knee-jerk reactions that can become public knowledge and might not truly represent positive position (at least in power or severity) that you might hold after a period of more reasoned judgement. It’s also advisable to note that the simple visiting one site by way of the login user credentials of someone else, or the use of a worldwide login for access to multiple different sites can accumulate a dossier on you and your online habits which could reveal more private information to unintended parties than you might realize or want. Any or many of these features could be operational on our http://www.morethanroofing.com web-site at one time or another. These examples demonstrate some possible ways that interpersonal media can sometimes occur, though it isn’t an exhaustive list and brand-new technologies will render this list outdated quickly. goal is to realize the reach of interpersonal media, its widespread presence on web-sites in a variety of forms which include this site), and create a responsible method of using it. You should acknowledge the fact that divulging information made in and on social media platforms on this site and others are rarely constrained only to you. Disclosures are commonly made about group matters that necessarily affect and effect other people. Various other disclosures are expressly about 3rd parties, at times with very little discretion. What can seem humorous for one moment could be tragic in the next moment. And a simple “open to the public” retaliation might possess life time repercussions. Ideal utilization of social media within our website should your disclosures primarily to matters regarding you, not other people. If in doubt, you need to gravitate towards the side of non-disclosure. It is doubtful the disclosure is indeed so meaningful that it can’t be offset by the precaution of acting to protect the best interests of a person who is involuntarily being exposed by a decision to reveal some thing on our http://www.morethanroofing.com web-site (or another). You should likewise pause in order to consider the long-term impact of a split-second decision to freely share private information regarding oneself on our http://www.morethanroofing.com web-site. Opinions, likes, dislikes, preferences, and otherwise can change. Freely divulging views that you hold today, may conflict with your developing views into the future. However, the “brand-new you” will usually stand juxtaposed against the last declarations you produced that are actually embedded as part of your open public profile. While the contents of your breakfast may hold little long-term impact, other data likewise readily shared can have effects that could possibly effect your ability to acquire certain work or hinder other life activities and ambitions. When it comes to sharing information regarding other people, extreme caution should be used before disclosing information about yourself. If in doubt, it’s likely best not to perform it. The short-term gain, if any, could readily end up being outweighed by later outcomes. In the end, you should note that we are not responsible for removing content once shared, and we may not be able to do so. As a visitor to our http://www.morethanroofing.com web-site, you are not authorized to “mine” social media or other platforms contained herein for personal information related to others. Even where folks have publicly displayed data, you ought not construe that as though you possess the liberty to fully capture, reproduce, or reuse that data. Any use of social media or related platforms on our website are for interactive use only, relevant only through the website visit. As any social media platform is built on user-generated articles, you should think about this fact in wanting to establish the authenticity of anything you read. We aren’t accountable for confirming any user-generated content material for accuracy and reliability. A suitable guideline policy would be to view all such articles as strictly opinion, not always fact. These “sins of omission and commission” might lead to problems for you, whether you claim you are carrying out business under the guise of one or possibly more business entities. Illegal and deceitful conduct|, when completed in the name of a company or LLC, is still unlawful and unethical conduct. Since it is rarely part of a business plan to engage in illegal and unethical conduct, you are doubtfully operating in any official capacity, but instead, perhaps, utilizing that capacity to effectuate personal wrong doing. You should consult a licensed attorney if you want legal advice as to the (potential) ramification of your situation or legal complications stemming from this website or another. NOTICE OF CHANGES: As with some of our business and legal pages, the contents of this page can and certainly will change over time. With that in mind, this page might read differently at the time of your next visit. These changes are caused by, and conducted by morethanroofing.com, in because we want to protect you and our morethanroofing.com website. If this page is very important to you, we suggest that you should check back on a regular basis because no other notice of change of content shall provided either before or after a change or changes takes effect. COPYRIGHT WARNING: The legal notices and administrative pages on this site, including this one, have been diligently composed by an attorney. We at morethanroofing.com have paid to license the utilization of these legal notices as well as any administrative pages on morethanroofing.com for both your protection and our own. This material may not be utilized in any way for any reason and unauthorized usage is policed via Copyscape in order detect violators. DO YOU HAVE ANY QUESTIONS, COMMENTS OR CONCERNS? : If you have any questions about the contents of this page, or simply desire to reach us for any other reason, you can do that by using our Contact information.